Your expectations of what you expect from your jeweler and what you actually receive can be two different things. So many businesses in today's world are only looking for the next sale with little regard to a long-term relationship. At the point of sale, a salesperson may say just about anything to close the sale, and later down the road when you need help they are no longer around. The point I'm making is that whom you choose to do business with can have a lasting impact on your purchase and the kind of relationship you will have in the future. A good relationship is based on trust, good counsel from a knowledgeable, trained and experienced individual that you can count on to be there for you, and of course, a comfort level that makes your experience a pleasant one. What you can expect from Kenneth Gordon is a total commitment to your needs based on 35 years in the jewelry industry and an uncompromising desire to please. You can expect fine quality, beautiful jewelry, meticulous workmanship and good value that will last a lifetime. You can expect tailored customer service leading up to the sale and into the future with sizing and adjustments, refinishing your engagement ring to its original luster for those special occasions leading up to the wedding day and beyond, selection of bands to complement your ring and your style and appraisal reports for insurance coverage. And, I will always be available to assist you in all your jewelry needs, accommodating your schedule with a smile. 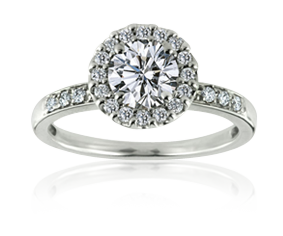 You can expect exceptional quality and service, year after year, for you, your family and friends, and like others, will consider Kenneth Gordon your Private Jeweler.